Dandiya and Garba Rass are the highlights of the festival in India while farmer sow seeds and thank the Goddess for her blessings and pray for better yield. 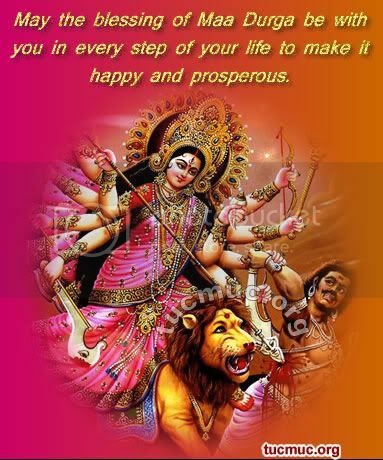 May the blessing of Maa Durga be with you in every step of your life to mak it happy and properous. Hey Rock On Dude!. It's Navratri...time to do some dandiya. In olden times, this festival was associated with the fertility of Mother Earth who feed us as her children.